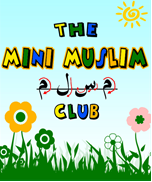 The Mini Muslim Club is exactly what it says on the tin! It’s a Saturday club‚ set up exclusively for young Muslim boys and girls. The club aims to spread authentic Islamic teaching to children in a fun and interactive manner. Our aim is to help children develop a deep love and understanding for the beautiful religion of Islam. Children are taught in a manner that helps them feel happy and comfortable with being Muslim using various interactive teaching methods such as arts and crafts‚ fun games‚ drama‚ special visitors/workshops and day excursions. Our students come from varying backgrounds‚ ethnicities and abilities. We are very pleased that the club caters for so many different expectations and needs. The standard fee for each child is £17 per month. Each additional child from the same family pays £8.50 per month. If you would like to work with us as a volunteer then please get in touch by e-mailing us. We offer training and can help bring out the teacher within you, inshaAllah! The rewards of teaching sacred knowledge are immense. Alhumdulillah, we have a wonderful team made up of around 20 teaching assistants and teachers at the club. May Allah reward them all for the various roles that they play and the enthusiasm with which they deliver this service to the community of Oxford. Don't worry if you haven't got any experience working with children or teaching about Islam, we will provide all the assistance and training you will need. All you need to bring are sincere intentions and a love for helping and working with children. Please contact us on: minimuslimclub@hotmail.co.uk if you would like to join our team. My sons both attend a village school in Oxfordshire. Except for family, their social contact with other Muslims in Oxford was limited. The Mini Muslim Club has been pivotal in expanding both my children’s knowledge for Islam, as well as their network of friends. The club has successfully incorporated Islam into everyday life.